When was the last time you saw a pair of dress shoes looking so white? For so long everyone has always wanted black shoes. Sure, they look good with a fancy tuxedo, but sometimes you want to stand out. Sometimes you want to make a name for yourself, to shine white-hot in a room full of typical black shoes. So what do you do? Do you get yourself a bright tie? Sure, but that move has been done. Everyone knows that trick. You could maybe get a crazy weird tux, but that might be a bit too far over the line. The real trick is to make a little change in a big way. Everyone who sees you might not notice, but the ones who do will be wowed! And those people are the ones worth keeping around. Pretty soon they might start wearing their own white shoes like you. 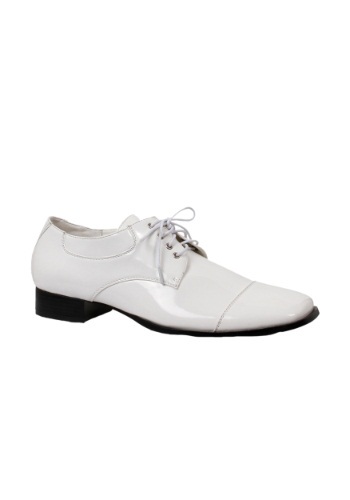 Before long, every formal function will be white shoes with nary a black shoe in sight. When that time comes, get yourself a pair of black shoes to stand out. Till then, grab these white shoes to keep people on their toes! Get it? Toes? Classic white-shoe joke.